Segmentation - Being able to target employees based on HR data is huge. Before Eloqua, we were doing 'batch and blast' emails because we didn't have an easy, quick way to set up distribution lists. Analytics - Before Eloqua, we used our work email account(s) to send communications. Obviously we were not able to track opens and clicks using Lotus Notes/Outlook, and this has been critical in the evolution of our communication strategy. Integration - I know our marketing teams are using our external instance of Eloqua and integrating it with our other digital tools (like Salesforce) to create robust campaigns. The initial training can be challenging, especially for people without a strong coding background, but it isn't impossible. The publishing process is relatively intuitive, but could be improved upon. As it is a newer program for Adobe, support is limited. Because Oracle is such a large enterprise itself, performing many acquisitions in rapid succession, product documentation is often out of date and scattered, which can make it a little hard to find answers to support questions. Similarly, the support platform can be confusing due to outdated interfaces and multiple platforms existing alongside one another. 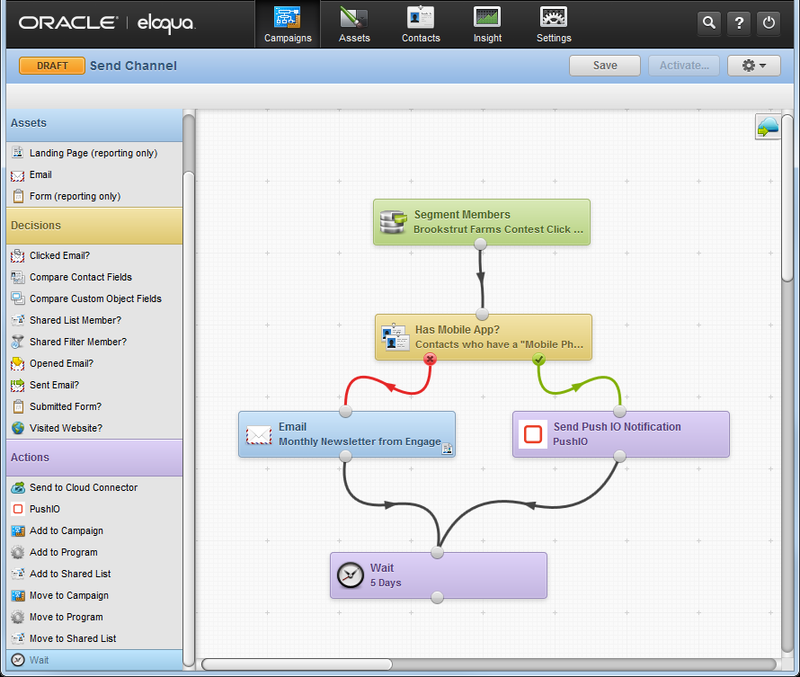 I just do not believe that Eloqua has been as innovated as their competitors. Everything is contingent on where you want to go with your automation strategy. Eloqua is the industry standard for a reason--they've been in the marketing automation space significantly longer than their closest competitor and do provide the best suite of tools to support it. Oracle Eloqua is built for enterprises, meaning that it is extremely scalable to enterprises and accommodate its growth trajectory. Our email volume has grown from thousands to millions, and Eloqua has handled the growth without any issues or hiccups. If anything, with the growth in volume, we needed Eloqua's intelligence to segment for us and personalize the experience automatically. This is what Eloqua is built to do.